Sports cars, SUVs and a big truck took main stage at the 2019 North American International Auto Show in Detroit the year before it reboots to warm weather in June 2020. The show, which typically hosts a feverish release of cars, trucks and SUVs to be released throughout the year, only had a trickle of introductions. 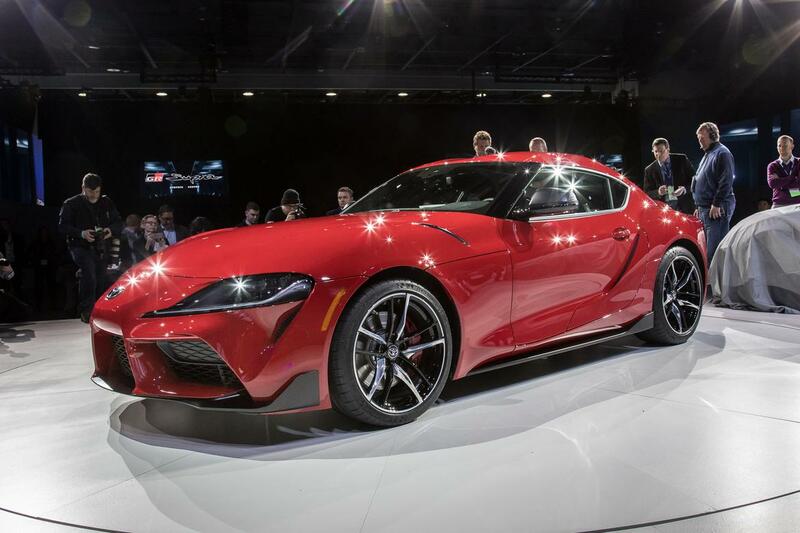 What Detroit lacked in quantity, however, it made up for in quality with the long-awaited reveal of the 2020 Toyota Supra, 2020 Ford Mustang Shelby GT500 and fully redesigned 2020 Ford Explorer. Did these new cars woo Cars.com’s expert review team? We discuss which ones were winners and losers. As much as I hate to pooh-pooh any new sports car, there’s just too much BMW content in the new Supra for me to think of it as a Toyota (it shares a lot with the new BMW Z4). That, and just like the Acura NSX, we’ve been over-teased with this thing for the last three years in various forms, making its debut at an underwhelming event. Maybe I’ll feel more excited about it after I drive it. A lot of unusual choices — a short wheelbase, different design aesthetics in front and back, fake air vents all over, a lack of a manual transmission — conspire to leave me cool to this new version of Toyota’s famed sports car. I hope how it drives changes my mind. I wanted to like this a lot, and maybe I will after driving it, but the design comes up short. It doesn’t hold together as a thing rather than a collection of ideas from Toyota and BMW. I’m 6-foot-2 and the roofline leaves me dipping my head for a view out the side window. It’s the worst visibility since the latest Chevrolet Camaro, which is a hazard on the track as well as on the street. Everything about this feels wrong. I get why Toyota would want to add a sports car, because it abandoned them decades ago. But if the 86 was engineered by Subaru and the odd-looking Supra is shared with BMW, did the abandonment really end? It may not look all that different from the old Explorer, but it definitely is. The switch to a rear-drive platform should make it a lot of fun to drive, but it’s come at the cost of third-row passenger room — my knees were in my chest when I sat back there. 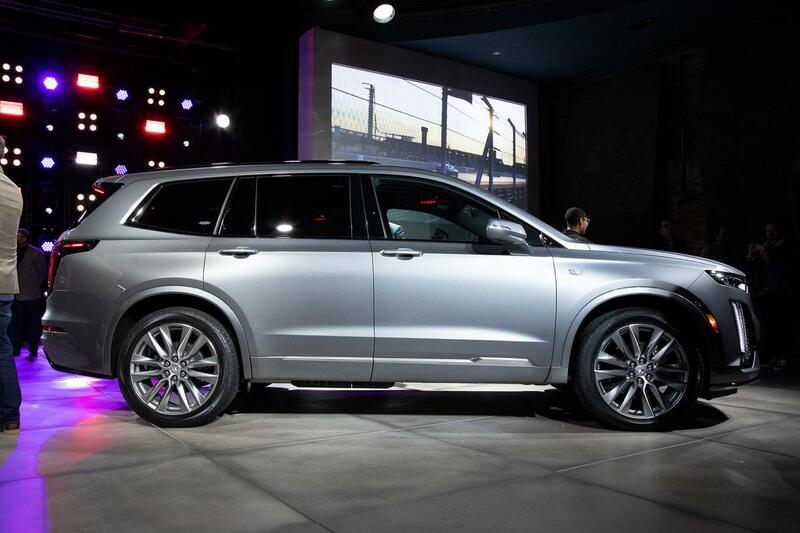 The rest of it is dynamite, however, and is different enough from the Lincoln Aviator that you can no longer criticize Ford for not differentiating the two brands’ products enough. Ford fixed some things in the Explorer — there’s no more tiny driver’s-side footwell — but I was expecting more on the inside both in terms of space and luxury. The third row is especially small for a family-oriented vehicle, with a seat cushion that’s essentially on the floor. The new rear-wheel-drive platform positions it well for towing and driving performance, but the interior is a miss. More accurately, the new Explorer is a winning two-row SUV that purports to be a three-row family hauler. If anything, the cramped third-row-on-the-floor is less appealing than the outgoing model and there are better choices if you really need a third row. But as a two-row SUV, it’s roomy and nicely upgraded, and the new rear-drive platform should offer driving fun not available in other mainstream-brand SUVs. Covering all the bases, it also offers both hybrid and performance ST versions. The current Explorer managed to go unibody without adding the associated roominess, so I never cared for it. This one is at least better for the front occupants, with plenty of seat travel. I have issues with the strangely narrow second-row captain’s chairs and the preponderance of plastic you’re met with when you open the rear doors, but I’m calling it a winner. Not all vehicles need to be all things to all people, and I appreciate the RWD, the hybrid and ST options, and the floating-tablet touchscreen that drives some people mad (partly because of the kind of person it drives mad). But that third row will be a disqualifier for many shoppers. Who cares that it uses the 2015 Mustang’s headlights, the overall package is a beast. Ford is gunning for the Dodge Challenger SRT Hellcat Redeye in a straight line and the Chevrolet Camaro ZL1 1LE on the track, and it just might be able to catch them both. My only complaint: Recaro seats that are just as uncomfortable here as they are anywhere else I’ve tried them. I don’t understand the magic of these. It’s a comment on the era we live in that a 700-horsepower-plus Mustang doesn’t make you do a double-take, but it doesn’t diminish what Ford has done here. 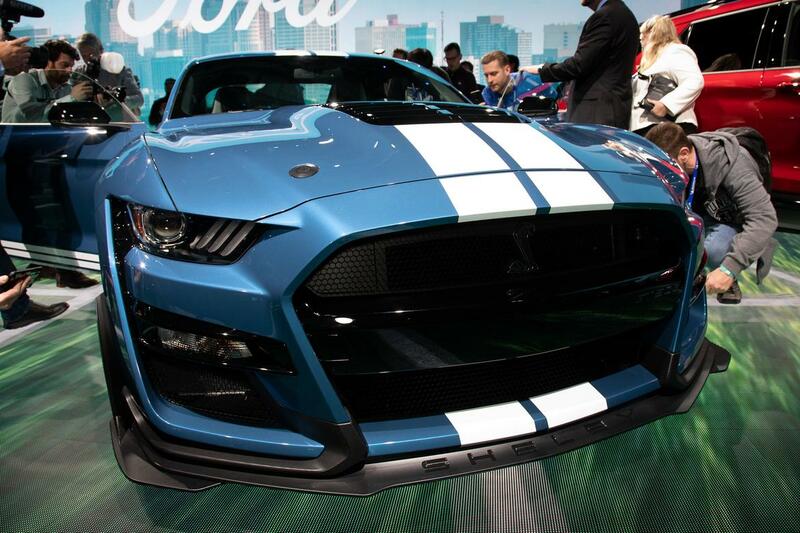 The design changes are purposeful, and the result is the most menacing Mustang yet. Certain Mustangs are a joy to drive on the track (see the GT Performance Pack 2), and I have high expectations for this one, too. With 700-plus supercharged horsepower in a lighter and better-handling car, it’s a winner here and likely also against the competition on any track you pick. Some may disagree about the front end, but I think it’s a Mustang look that fits the part. Look, when it comes to Winners and Losers, you have to think about the context. Here the context is that Dodge has kept interest in the entire Charger and Challenger lineups alive by daring to sell preposterous amounts of horsepower in a small percentage of them. It was good for Dodge, and it will be as good or better for Ford. I understand that Cadillac had to get a three-row crossover to market as fast as possible to plug the gap between the XT5 and Escalade, but this one feels completely phoned in. It’s as close to being a reskinned GMC Acadia Denali as you can possibly get. Engineers couldn’t get any more power from that 3.6-liter engine? No special surprise-and-delight features? The 2020 Lincoln Aviator is gonna eat its lunch. I like the new face of Cadillac, which is present here as well as on the brand’s smaller XT4 crossover, but it’s disappointing to see the old version of the Cadillac User Experience multimedia system inside along with its touch-sensitive controls. 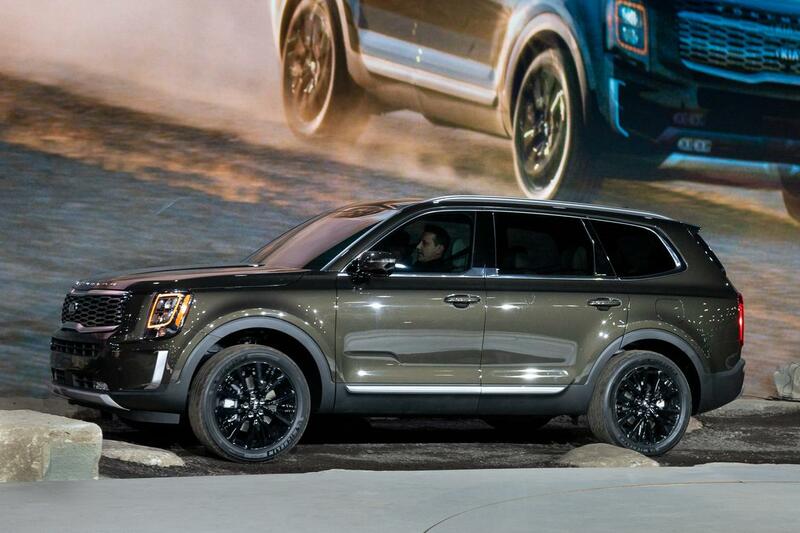 In an otherwise appealing three-row SUV, that’s a deal-breaker. GM needs to answer what makes a Cadillac a Cadillac. As nice as it might be, the charisma-challenged XT6 doesn’t know. I’m a fan of the Acadia Denali but didn’t need another one, not one without enough significant differences to be special. Making the disappointment sharper, next door was a lineup of new vehicles from Lincoln, which against all odds seems to be finding itself. The sister ship to the Hyundai Palisade looks just as good as the Hyundai, inside and out. Comfortable, spacious, loaded with usable tech and family-friendly features, it’s exactly what the market is clamoring for right now. This really impressed me. The Telluride’s cabin is comfortable and looks like it could be from a luxury brand, and it has a more usable third row than the redesigned Explorer across the auto show floor. Not to repurpose one of Kia’s model names, but the brand’s forte has been bringing upscale amenities to mainstream models, and the Telluride keeps the trend going. This checks all the right boxes for family-friendly SUV features. It has a third row that can seat a full-size adult for typical trips without having a footprint the size of a minivan. And it manages to come off as upscale in and out through clever use of materials and colors that look great without driving up the price. Kia’s been selling third-row passengers short with the Sorento for years. This time around, the brand brought it, with more headroom than the Subaru Ascent and Palisade, and legroom that’s good — or even great if you slide the second row forward. 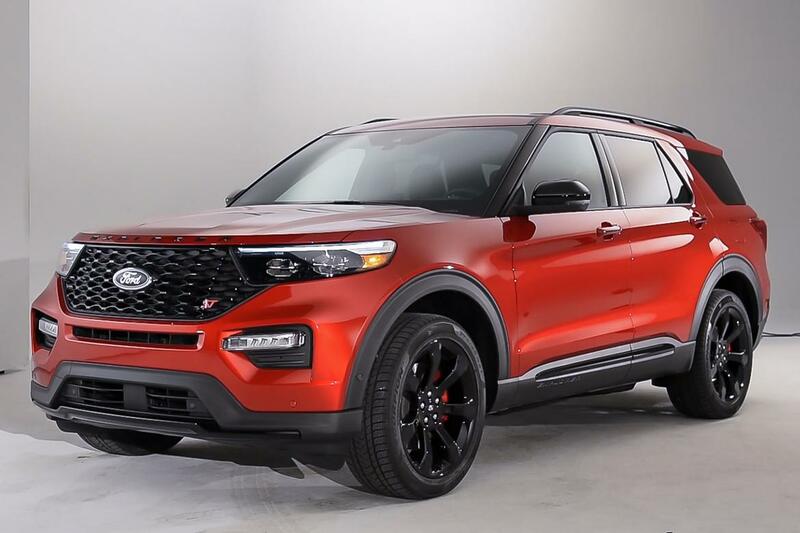 It’s this vehicle that makes the Ford Explorer and Cadillac XT6 unveiled at the same show look bad. 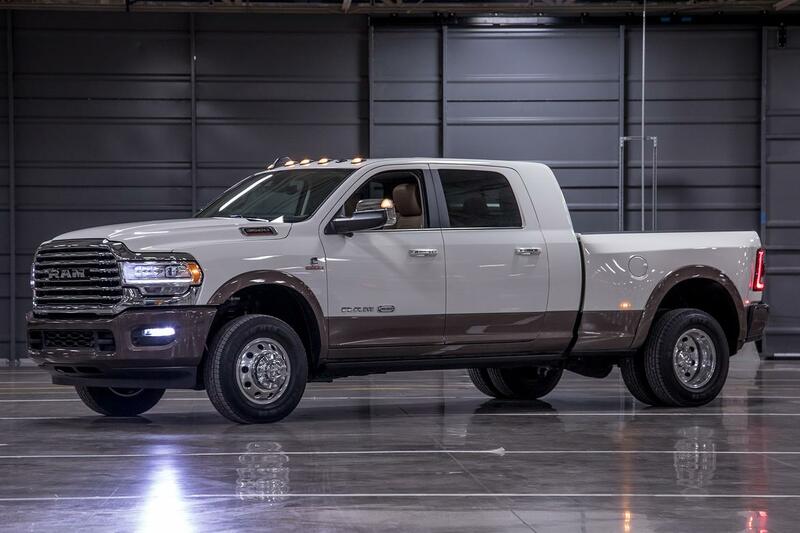 As good as the Ram 1500 has become, the redesigned 2500/3500 heavy duty seems set to continue that trend. The Laramie Longhorn and Limited interiors easily match the best luxury cars on the market, holding their own against Lincoln and positively shaming anything from Cadillac, never mind Chevrolet or GMC. More capability doesn’t hurt, but what won the Ram 1500 all of its accolades is the execution of the interior; these HDs only continue that trend. Agreed. The 1500’s cabin set the bar among light-duty trucks, and that bar has been extended to the HD class. The Limited’s interior is just as stunning here as it is in the 1500, and with towing capacity of up to 35,100 pounds, these trucks bring an impressive blend of luxury and capability. I admit when I saw Ram had dolled up these trucks like the more casual-use half-ton trucks, I thought it might be pushing it. But if the brand can do this and sell them at a reasonable price, the only losers will be competitors who prove again to be behind the curve. The technology and capability updates amount to Winner cake; the lush interiors are the icing. 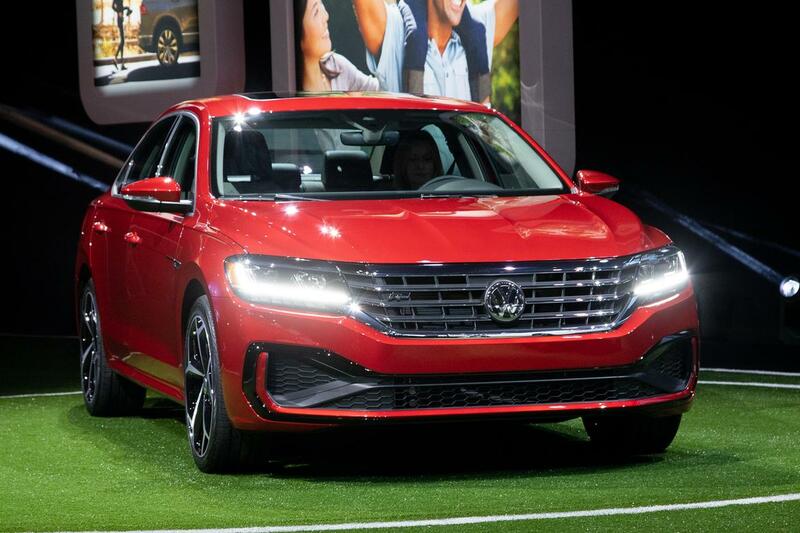 It doesn’t break any new ground and it doesn’t set my world on fire, but the latest Passat is an exercise in good market strategy. Take a platform that most agree has good bones and smart packaging, give it a cosmetic update for minimal cost, and let it soldier on in a dying mid-size sedan segment with the aim of scooping up all the buyers that Ford and GM are going to lose after they discontinue their mid-size sedans later this year. I agree with Aaron that this only works because Volkswagen is starting with a solid, spacious car in the current Passat. The exterior and interior changes should keep it fresh for a few more years. Why mess with a sedan that was a winner from the start? The Passat has a nearly full-size backseat and trunk space in a mid-size car at mid-size prices, and it’s the leader in ride, handling and quietness. Now the package looks a hair less conservative (some would say stuffy). Yes, the updated dash display still is too small and too low on the dash. But if you still want a car, this should be on your list. Those touch-sensitive buttons need to go, but that’s not enough of an oversight to make this light refresh a loser. Give VW credit for continuing to invest appropriately in a good car. If they left it untouched for too long or killed it off, that would be the Loser move. This is what the Lincoln Continental should’ve been from the start. Maybe not the extra stretch in length, which does look a little awkward from the outside, but the idea of making the Continental a big, formal, super-luxurious sedan once again is long overdue. And Lincoln even gave it the interior it deserves, too. The whole premise makes sense — rekindle some of the Continental’s past glory with rear-hinged rear doors — but the execution is flawed; the giant B-pillars throw the whole look off. I understand Lincoln wouldn’t have been able to sell any if it’d removed the B-pillars — and it’s building 80 for the public — but it still bugs me. I, too, think this is what the Continental should have been back when cars were an easier sell. 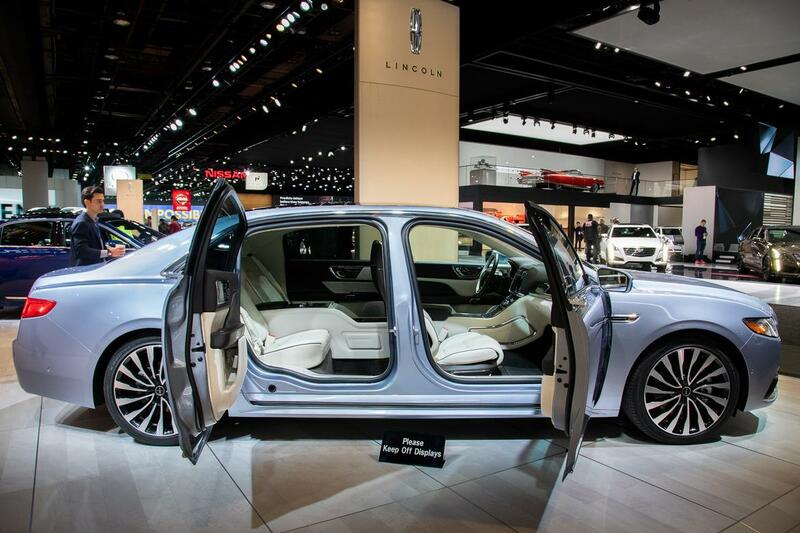 The rear-hinged doors were a brand signature Lincoln should have kept, and the extra 6 inches of wheelbase create a true luxury-car backseat. I wasn’t as bothered by the fat B-pillars — the lack of them is a great look but unlikely to survive modern crash standards, and the car will wear better over time. If you spend any time around cars, you learn that people react to unconventional doors as if they were something more dramatic and awe-inspiring, like an anti-gravity feature or a cloaking device. If a door opens a weird way, it can’t lose, and this one being a twist on a known model makes it even more interesting. At a time when auto shows have fewer concept cars than they used to, the Continental Coach Door Edition really stands out. Previous: The demise of the 9-5: What will the future of the office look like?